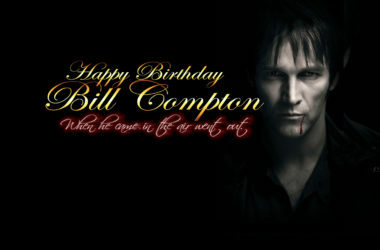 We posted about this photo shoot a long time ago, when Jessica Hamby was first made a vampire on True Blood by Bill Compton and it’s lovely to see it surface again and in such a nice way. 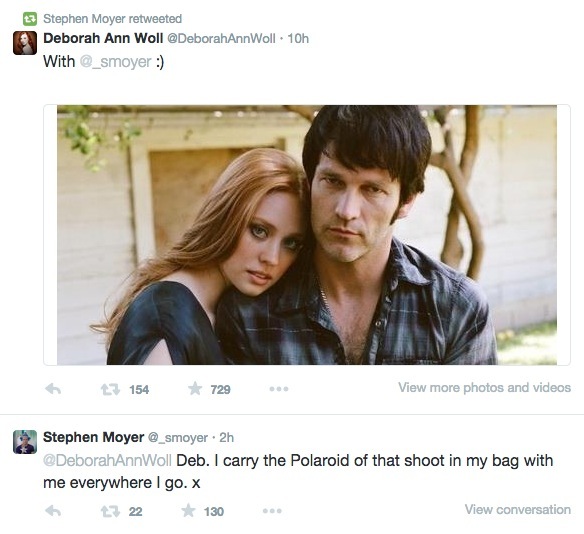 The tweet conversation is below where Stephen Moyer retweeted the photo saying he carries it wherever he goes. Ahhhh, that’s a father/daughter love if ever I heard it. 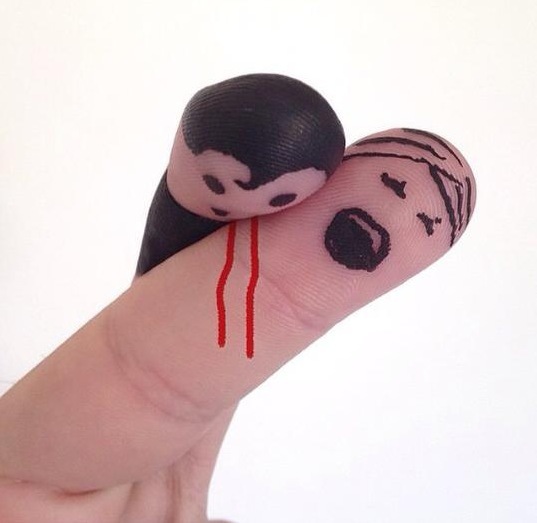 And, to add something even cuter, @DeborahAnnWoll tweeted this cute image of Bill biting Jessica when he made her. So cute!!! Awww father and daughter photo op!! 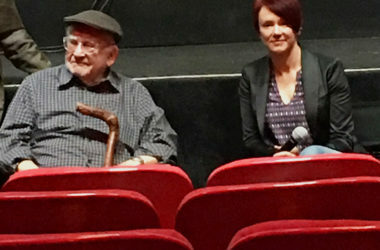 Adorable photo of “Bill” and “Jessica.” One of my favorite scenes with these two was Jessica’s first day as a vampire and the complete abandoned freedom she felt from her oppressive, abusive father and Bill’s complete loss of how to deal with it, as most real fathers feel at one point or another! Hilarious moment on the show that led to an endearing relationship later on! Thanks for the memories! Should be Anna sitting there,love Anna and Stephen. Love his hair and sideburns! 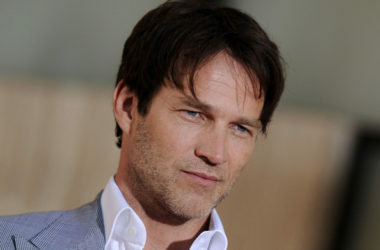 Bring back this look Stephen Moyer! What are you doing out in the SUNLIGHT????? Love this photo!! 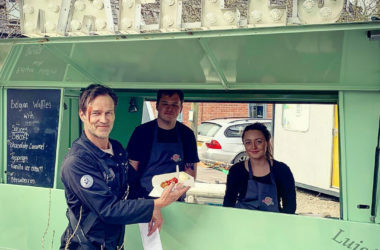 Stephen looks sensational as always. So does Deborah. Her maker and his child, Bill you did quite well. I wish we had a rewind button so we could start all over. I loved the first season, the other 6 too. Loved loved loved Bill and Jessica’s maker – progeny / unconditional love relationship. Such a beautiful picture of Deb and Stephen. Beautiful picture. I miss this show. I think if the show hadn’t deviated so far from the books it would still be on. The Authority crap killed it. they both look great in this picture! I totally miss those two, I wish True Blood was still going! SO bittersweet! sweet because i love this photo for all the memories it brings back but some are bitter because of how it ended. But this was the best Father / Daughter relationship ever on TV. What’s not to love? Stephen and Deborah Ann’s photo shoot is adorable and I am swooning at the sideburns on Bill. Jessica made me so mad in Season 1, made me cry in Season 2 and 3, made me sigh in Season 4 and made me cheer in Seasons 5 & 6.